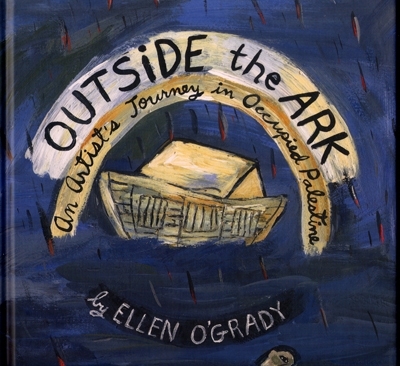 So begins Outside the Ark: An Artist’s Journey in Occupied Palestine, which takes you from artist Ellen O’Grady’s childhood Sunday School class in New Jersey to the streets and homes of today’s occupied West Bank. The paintings and stories reflect a complex world of love and injustice, violence and compassion, hope and despair. You will meet Ali and Mahmoud, two best friends from Bethlehem who get caught in a clash with Israeli soldiers; Salwa, a 69-year old woman suffering from untreated diabetes who breaks the military closure to get to the hospital; Aseel, a girl who dreams of taking flight from her refugee camp on the string of a kite. Outside the Ark is a provocative collection of paintings and stories, a window into the realities of life under occupation and a witness to the enduring human spirit.